Make it easy to create your message with this ready professional printed letters, numbers & symbols. Printed on white .020 plastic, black letters, red numbers & symbols. 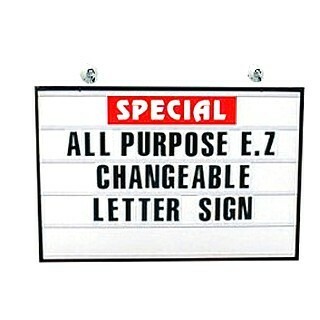 Available in different sizes and excellent to use with our E-Z Change Boards and Kits. Click on "view specification" Link to check the details. call 1877 758 5957 for best prices.